Rosslyn is getting a new $1 million, developer-funded public art installation. 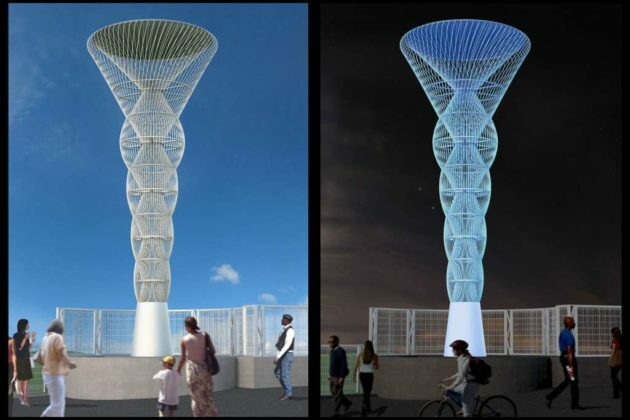 The County Board on Saturday awarded a contract $968,000 contract to California artist Cliff Garten to fabricate and install “four stainless steel, LED-lighted Luminous Body sculptures” that will be placed on the four corners of the Lynn Street bridge over I-66, near the entrance to the Key Bridge. It’s the second phase in a larger public art project to create a “Corridor of Light” down N. Lynn Street. The project is being paid for developers, via “public art contributions pooled from various site plan projects in Rosslyn,” said Arlington Public Art Marketing Director Jim Byers. 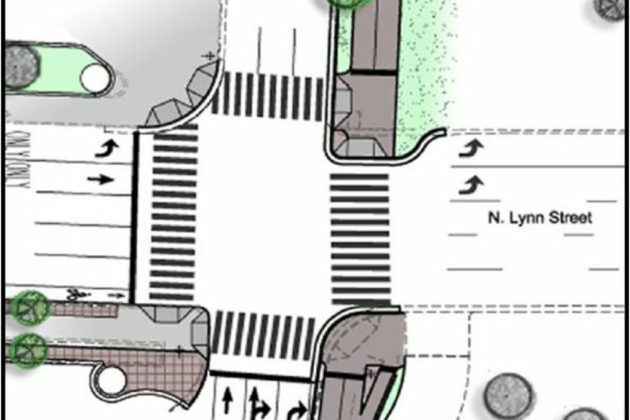 Though the installation approved Saturday is considered the project’s second phase, the first phase — to be built as part of JBG’s Central Place project along Lynn Street — is still under development. Early plans for some 60 light sculptures have since, apparently, been scaled back. The third phase of the project is to consist of four “Luminous Body sculptures,” like those just approved by the Board, on either corner of the Meade Street Bridge over Route 50. Those will be built as part of a bridge improvement project that’s currently in the design phase. 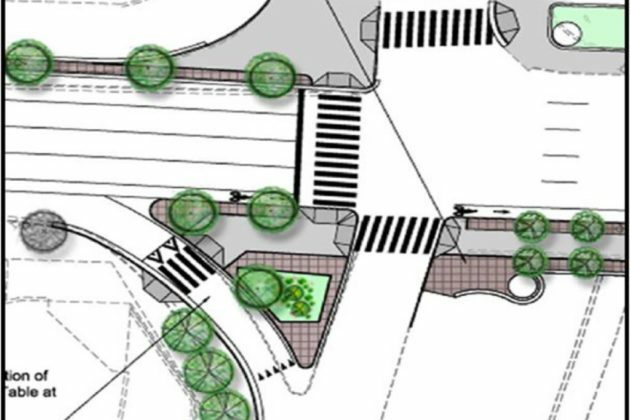 On Saturday the County Board also approved transferring construction work on its Lynn Street Esplanade Project to the Virginia Dept. of Transportation. Under the transfer agreement, VDOT would use its state-wide procurement system to advertise, award and administer construction. Arlington has already completed the final engineering phase of work. The transfer carries mutual benefits as the project is within state right-of-way and requires significant VDOT coordination and approvals. VDOT staff also has expertise in structural work required on Lynn Street over I-66. VDOT will be providing construction management and inspection services that Arlington would otherwise have had to contract for separately. Under the agreement, the state would be allowed to invoice Arlington for up to $5.7 million for construction services. Construction is anticipated to begin in fall 2017. VDOT is expected to award a construction bid for the project this winter and begin construction in the fall of 2017. 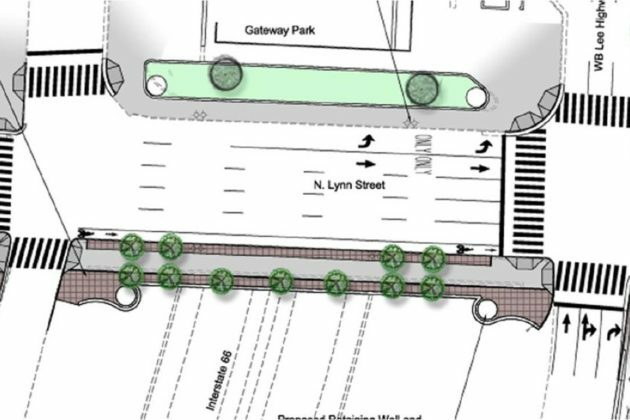 Construction is expected to last about two years and will include some traffic impacts along Lynn Street.